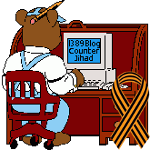 2011 September — 1389 Blog - Counterjihad! Ron Paul Supporters: Get your facts straight about Herman Cain! Remember this Clinton Moment Celebrating the al Qaeda Jihadists that massacred the Serbs with his help? Fox News “Fair and Balanced”? Bzzzzzt, WROOOOONG!